Volunteer Spotlight: Emily Clark - Houston Pets Alive! Emily Clark of Houston, TX (Montrose) started volunteering with HPA! at the cat facility just days after Hurricane Harvey hit. 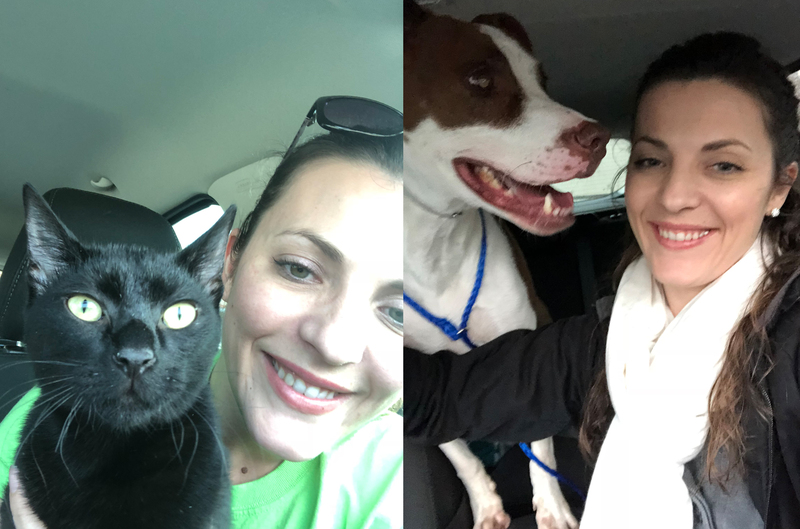 Now, she’s transitioned from the cat facility to multiple volunteer areas, including fostering kittens, transporting cats and dogs, and store supervising as well as managing social media for HPA! Thrift. I had heard of HPA! through the rescue community. Before Harvey I was volunteering with another rescue. I have been volunteering with animal rescues or animal shelters for over 10 years. I love helping the animals in need, and I love the other volunteers. I have two cats that don’t tolerate cats, but they do tolerate kittens, so I take full advantage of that. I currently have 4 foster kittens in my one-bedroom apartment. I transport animals from BARC or HCAS (or wherever else) to HPA! or directly to the foster. At HPA! Thrift, I intake, sort, and price donations. I organize ‘parties’ at the store to clean, sort, and update the items offered. I check out customers’ purchases and train other volunteers. There are many people that you see doing so much; you don’t have to start doing that much. If all you can do is foster one dog or one cat, that is amazing! If you don’t want to volunteer with the animals because you’d fear you’d take them all home, volunteer with HPA! Thrift! Donate your time or needed items. You can do something as easy as transporting animals, too! Thank you to HPA! for giving me the opportunities to help all the animals! This is a really great organization, a little chaotic at times, but everyone’s heart is really in it for all the animals!